When I traveled to New York City for business recently, my mom tagged along. Having never really seen the city she hoped to knock a few bucket list items off her list. Among them, was meeting Robin Roberts from Good Morning America (GMA). She, along with many people, didn’t realize that along to pitching clients to be guests on the show, I can request to be in the audience at any time. (Actually anyone can, message me and I’ll share how). My mother had cancer a few years ago and found Robin to be an inspiration. When she took time off from co-hosting, she often checked in with her co-hosts and let her audience see how she was doing. Her willingness to be open about cancer journey gave my mother hope and a feeling of connection with Robin. She wanted to meet her but didn’t know how. 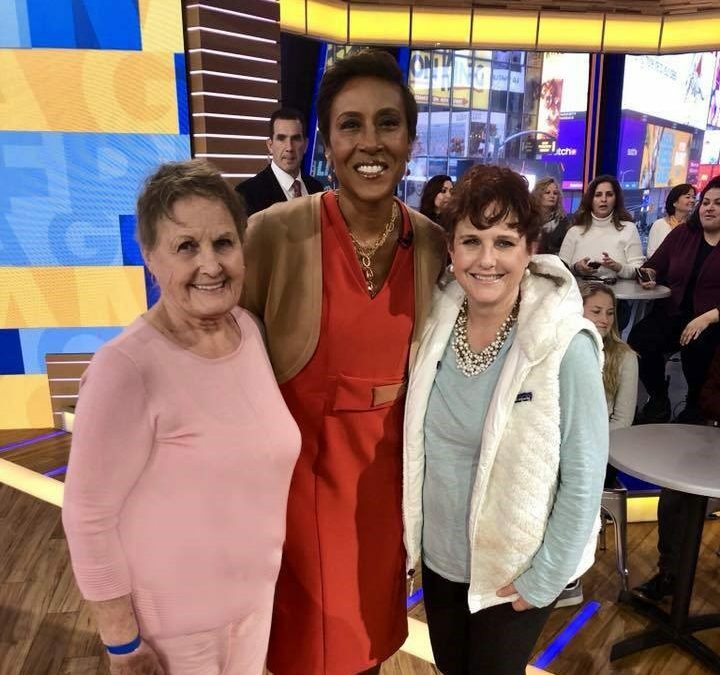 While I’ve had clients on the show, I knew that this “placement” in the audience for me would be very special as we could say thank you for the inspiration she had given my mother. When I’m pitching a client with a new book, a new technology or a person of interest, the goal is to have my client on-air. The majority of news shows have live audiences during all or some segments of the show. GMA has a one-hour segment where you sit in a studio set for two-hours and one of those hours is on-air. Some of the co-hosts love to mingle with the audience after short segments and Robin is one of them. She’s a tall, graceful lady with a heart of gold and that comes across when you meet her – even if it’s for a moment or two. My mother’s moment of magic came when she was able to tell her thank you – in person – for the positive attitude that she passed along to my mother during her own cancer journey. Elaine Marshall, president of Empowered PR, brings more than 25 years of experience to her business. She works with companies to craft messaging and provide them with media coverage that aligns perfectly with their branding. Elaine’s placement record includes The Associated Press, The Wall Street Journal, The New York Times, USA Today, Fortune, Forbes and more. She has propelled stories of Apple, Texas Instruments, FedEx, Toshiba, Viking Technology and more into the media.